How about something a bit different today? It’s not uncommon for me to get requests to read a manuscript, and I will often do so if it’s related to the airline industry. But it’s not every day that I get asked to write a foreword. Korry Franke is a young captain at United, and he reached out to me with that exact request about 6 months ago. After reading the book and talking to Korry, I readily agreed to help. Today, he’s releasing his book for the world to see (you can find it here), and you can get a copy at Amazon. To help support his efforts, I’m publishing the foreword I wrote in full below. The 737 whizzed by the window, hovered over the runway in Los Angeles, and then gently reunited with terra firma. Once the aircraft was out of view, I swiveled my head back around to re-engage with Korry Franke about his career and this very book, 3 Feet to the Left, which tells the story of Korry’s first year as the youngest captain flying for United Airlines. It was the first time we had ever met. Two months prior to that day was when I first heard Korry’s name. He had reached out to me personally, asking if I would be interested in reading his book and then possibly writing a foreword for it. As author of the Cranky Flier blog, I’m used to getting requests to read manuscripts, but being asked to write a foreword? I wasn’t sure what to say. After all, I didn’t even know this guy. In the blog, I’ve written about the airline industry for 12 years, but that largely focuses on the business of flying, not the ACTUAL flying. Having a background on the commercial side of the industry, doing pricing for America West and marketing for United, among others, shaped my views. And those views about the business weren’t necessarily aligned with the views in the cockpit. I couldn’t help but wonder why Korry wanted someone who had never flown an airplane involved in his project. Fortunately, with a vacation coming up, I decided that at the very least, I could spend some time reading the manuscript. Korry had taken the time to seek me out, and he seemed to value my opinion. I figured reading his memoir would at worst be a mildly interesting way to spend an afternoon on the beach. As I read the book, I began to understand more about why Korry had reached out to me. One thing that has always driven my writing is the pursuit of shedding light on why things happen the way they do in the airline industry. This book tries to do that very thing, and Korry, being a new captain at the time, makes it seem like we’re learning right along with him. For the airline employee, frequent flier, or just casual observer, Korry’s anecdotes will prove to be fascinating. Long gone are the days of the “Sky Gods,” where captains knew everything and were never to be questioned. Instead, today, we have pilots trying to manage situations and coworkers in a delicate dance. They are not perfect, and this book puts a human face on those people who may seem invincible in their sharp uniforms. In some cases, the stories are strangely comforting. For example, my heart started to race and my palms began to sweat as I read the tale of Korry and his first officer flying around an intense thunderstorm cell near Mexico City. Yet the matter-of-fact way they went about doing their jobs as if solving a puzzle calmly and efficiently made it seem, well, routine. Most people don’t get to see that side of pilots. But this book is about more than just being an airline pilot. This is a much broader general business book about managers trying to find their way through difficult situations. Take, for example, Korry’s experience on an evening flight out of Washington’s Dulles Airport that really stuck with me. A late-arriving passenger on a first class fare had walked on the airplane and started complaining about how the flight attendants said there was no room for his bag in the overhead bin. Frequent fliers have seen this story a million times but not from the perspective of a pilot. It was eye-opening to watch Korry wrestle with what, on the surface, seemed like a simple, insignificant decision. Few of us may find ourselves in the exact same situation, but Korry’s thinking in making the time-sensitive, difficult choice as well as dealing with the consequences of that decision can be applied to any industry where new managers are trying to find their footing and learn how best to run a team. It doesn’t stop there. As Korry makes his way through his first few months as a captain, we can see that he’s searching for something. In the end, Korry comes to an understanding about how he wants to live his life, particularly about how he wants to define success, and that’s something that others who are seeking order might find valuable as well. There’s a lot to like about this book, but the simple act of humanizing a captain and the cockpit experience would make this worth reading on its own. For more than a decade, I’ve tried to demystify parts of the airline industry for people who want to better understand how it works, but I’ve never flown an airplane myself. I can interview people, but I can’t give the captain’s eye view of why things happen the way they do. Korry Franke makes that happen with a book that has appeal far beyond the airline industry. When Korry flew 6 hours just to have lunch with me that day we first met (before turning around and flying right back), I knew that he was serious about making this book a success, so serious that he was willing to spare a precious day off to come speak with me. I’m no longer confused about why Korry asked me to write this foreword. I’m now just glad he did. If you’d like to read the book, you can buy it on Amazon. Come back here and let me know in the comments what you thought about it. Sounds like it could be an interesting read. I read the free sample from Amazon (while on a plane) and am hooked. Will definitely download the full book and read on my return flight. Reading your comment made my day. I firmly believe it’s the author’s job to keep the pages turning for the reader. I toiled and tweaked for four years putting this together, and my goal has always been to tell my story in a vivid and compelling way. I’m thrilled that’s been your experience with the sample, and I hope you find the rest of the book equally as engaging. Please keep me posted! I’m on the return and had to do work email but next week I have a flight to ICN and will have more than enough time to read. Will definitely leave a review on Amazon. Brett, I can’t thank you enough for your help and guidance down the homestretch with this project. It’s been a thrill to work with you, and I’m so grateful for your willingness to write 3 Feet to the Left’s foreword. You honed in on the essence of what I was trying to do—bring readers into the flight deck while leaving them with a takeaway that I hope will be helpful in their own lives. I ordered the book. i’m old fashioned that I just want pages to turn… and I have a son I want to pass this book along to. Good luck and thanks for sharing a part of your life with us. I’m a Flight Attendant in the industry. Of course I will buy it! After I finish, I will absolutely leave in the galley for others to read. Downloaded it and have been reading it whilst jet jag keeps me up. Have to say it is an excellent read. I particularly enjoy the parts of anecdotes when there is a problem that needs to be solved – medical, technical or otherwise – the problem is dealt with by the professionals of the industry calmly and resolutely carrying out their job. It is most satisfying that we are able to enjoy the benefits of flying, despite the inherent high level of danger of flying, at incredibly high levels of safety, because of the skill and professionalism of all those who in and around the industry. Thank you for these kind words, Richard. I am definitely hopeful that other readers come away with the same thoughts as you about the men and women in my profession. I’m not affiliated with it, but I’m a big fan of the VASAviation channel on YouTube for the same reasons you mentioned. Hearing (and seeing, via radar imagery and animations of airport diagrams) ATC and pilots deal with problems and emergencies professionally and calmly is quite eye opening, and really does speak to the skills and training of all involved. I’m not a nervous flier, but I recommend those videos to people who are, so that they can realize that handling an aborted takeoff or birdstrike is “just another day at the office” for the professionals in the industry. Sorry about that. Lol. ;-) Seriously though, I’m really glad you enjoyed the book! As the author, it’s incredibly satisfying to read comments such as this. So, thank you. If you’re willing to leave a review on Amazon, I’d greatly appreciate it. After reading the Kindle version of the book, I’m excited to hear what you and your son will think of it. I don’t recall anything in the book that would be inappropriate for a 10 year old, and the themes and leadership lessons in it are great for those of any age. I ordered my copy. Looking forward to it. Like Capt. Franke, I’ve been reading this blog for many years, and gladly and quickly read any book that Cranky recommends, let alone one that he writes a forward to. Bought the Kindle version of this book yesterday afternoon and could barely put it down to go to bed last night. Just finished it today, and I can tell that I’m going to be thinking about the lessons from it for a long while. Great, great book, the best I’ve read in years, and one that I will be giving copies of to more than a few people. The self awareness and courage to admit mistakes and failings, not just to himself and others but publicly in the book, really hit home for me. While I’m a non-pilot avgeek (and would have loved to have been sitting in the cockpit jumpseat for that crosswind landing at ORD, as I enjoy those as a pax and am always impressed by the skill those take), Capt. Franke did a great job at keeping aviation jargon to a minimum, and I consider this book as much a leadership book as a memoir or an aviation book. I hope to have the opportunity to read more from Capt. Franke (would love to see him contribute an occasional guest blog post here), and also to hear him speak and to fly with him as a passenger. Kilroy, wow. Just wow. I don’t even know what to say other thank you! I’m thrilled you enjoyed the book so much, and so grateful you shared these thoughts with me (or on Amazon if you feel so inclined). You really hit on what I hoped to do—bring you into the cockpit and make it technical enough to feel real but not so technical that it’s impossible for a non-pilot to understand. Thanks again for your words. The entire response from initial readers has truly been more than I ever could have imagined. Thanks again. No problem. I don’t really write Amazon reviews, but will try to get one written this weekend. While I personally (as an avgeek) would have loved more technical details, I’ll be the first to admit that they would have detracted from your book, and focused it too much on the aviation theme. You did a superb job of including almost no technical aviation details in the book, and at succinctly explaining those that you were forced to include. For example, instead of referring to TCAS by name or explaining it, you just mentioned that you could see on one of the cockpit screens that you were rapidly approaching another aircraft. You might try to see if you could get a spot as a speaker/presenter at events like Oshkosh and Sun ‘n Fun, and do a presentation targeted to those audiences. I’ve only been to Oshkosh, and only once at that, but while it’s an event mostly for/by private pilots, I could see your story really resonating with the crowd. Alternatively, you would be great for a panel or group on encouraging and helping young people get into aviation careers, though I assume that you are already doing things along those lines. Just a quick note to say thank you for taking the time to write your Amazon review. I greatly appreciate both your kind words and your candid critiques. They were very fair. Brett – thank you for the recommendation. 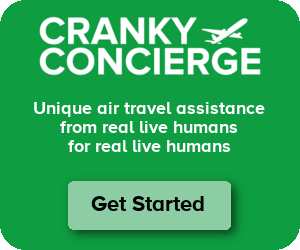 Are there other books you recommend that give insight into the inner-workings of airlines? Or just good airline books to read in general? Irving – Hmm, I can’t think of anything recent that would fit the bill. I mean, there are some from years past that I still consider to be favorites. The best book ever written about the industry is Hard Landing by Thomas Petzinger Jr. Unfortunately, that leaves off in the 1990s, and there’s no hope of a sequel as far as I know. But it’s still an incredible read about how the industry developed after deregulation.